Cork centre-back Mark Ellis admits the Rebels' use of a sweeper last year was "a bit negative" and reckons switching to a more orthodox defensive line-up has brought the best out of this year's Munster champions. The employment of an extra defender was met with unease within the county also and Ellis acknowledges now that it went "against the grain of what Cork hurling traditionally would be about". "We probably were a bit too defensive," Ellis, who is expected to lead the Cork defence against next Sunday in their All-Ireland semi-final with Waterford, conceded. "It kinda seemed to take off in hurling that you couldn't be successful in hurling if you didn't have an all-out sweeper, a fella minding the house. "I think Tadhg de Burca was doing it with Waterford and I was given the role with Cork. It probably is a bit negative and Cork hurlers were used to playing off-the-cuff and with pace coming off the shoulder and expressing themselves." The switch not only revitalised the team, Ellis noted, it established a reconnection with their support. Yet despite their surprise Munster title, he added, this season won't be fondly remembered by the squad if they don't at least make the All-Ireland final. 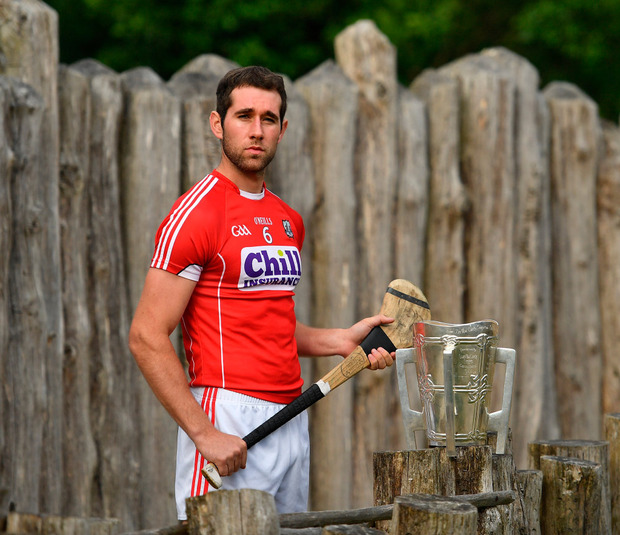 "At the moment, there is huge elation and the Cork public are really thinking Cork hurling is back and we've obviously won three good games," Ellis explained. "The celebrations among the public were huge but the players it wasn't. "We have a lot of young players as everyone knows but we've a lot of players who were there before." "When we look back on championship 2017," he added, "it'll be the All-Ireland and this is really when the championship starts and everyone knows that. We're fully aware of that too."